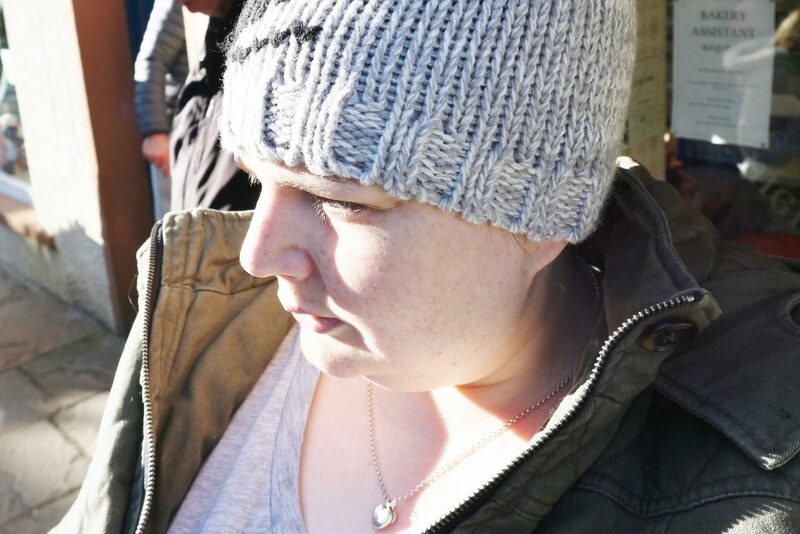 A couple of weeks ago, I spent a week in a cottage in the North Yorkshire Dales. 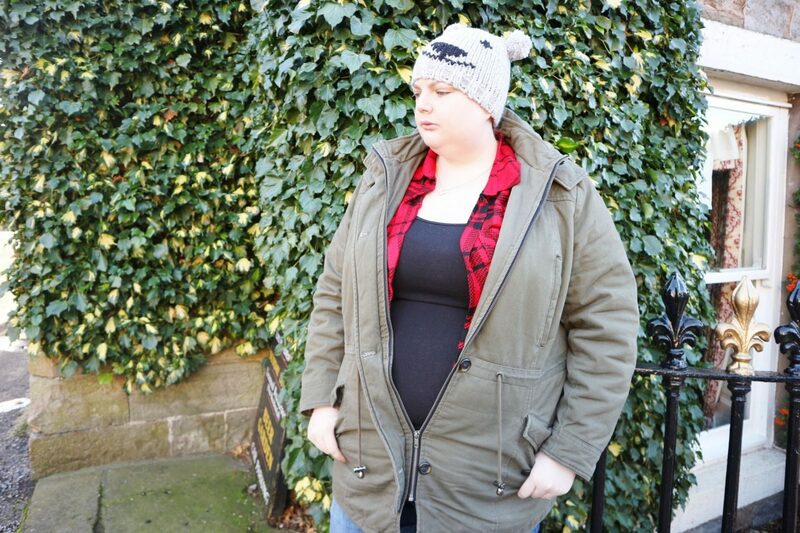 I spent time snuggled up by a log fire, but I also ventured out in the car to explore lots of different towns and villages. 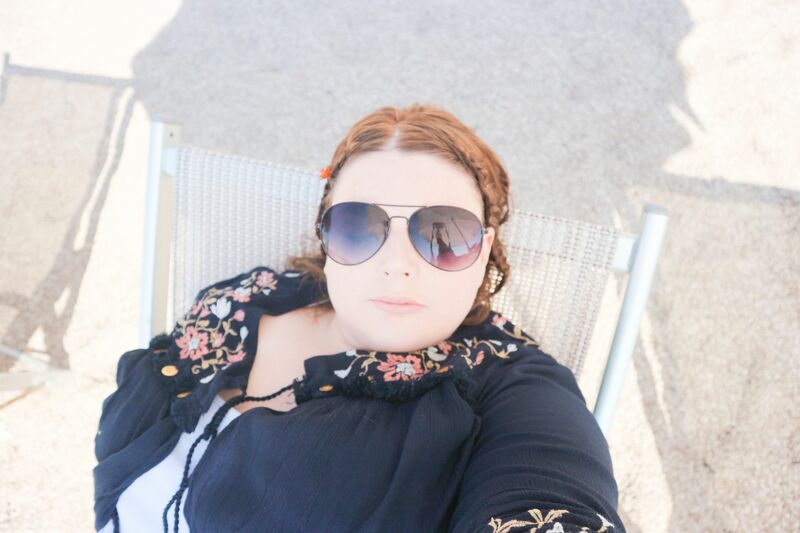 I wanted to share my favourites with you, for shopping and dining. This area is so beautiful and quiet. It’s one of the few untouched and unmodernised places left in the UK. The people are so friendly too. You will struggle to get a phone signal, but that’s all part of the fun. 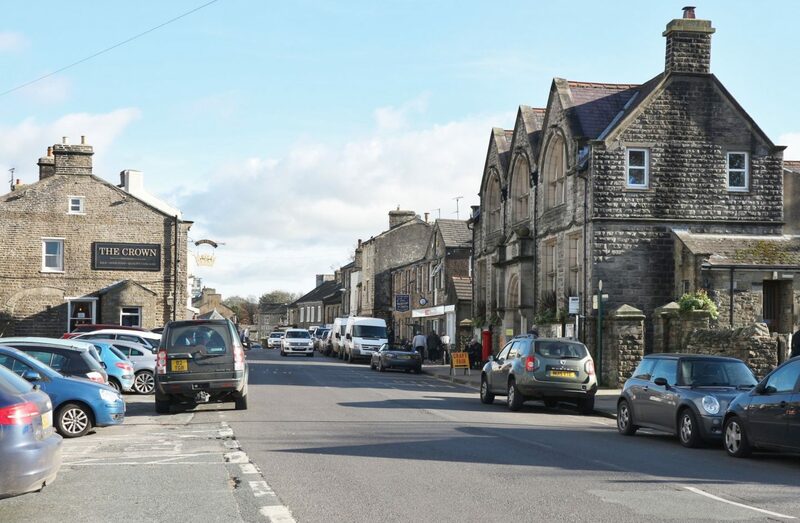 Hawes is one of the first places you will hit if you enter the Yorkshire Dales via the Yorkshire Dales National Park and Sedbergh. It’s one of the busiest small towns and is full of cute shops and things to look at. The chip shop in Hawes is good to eat from if you fancy a takeout too. 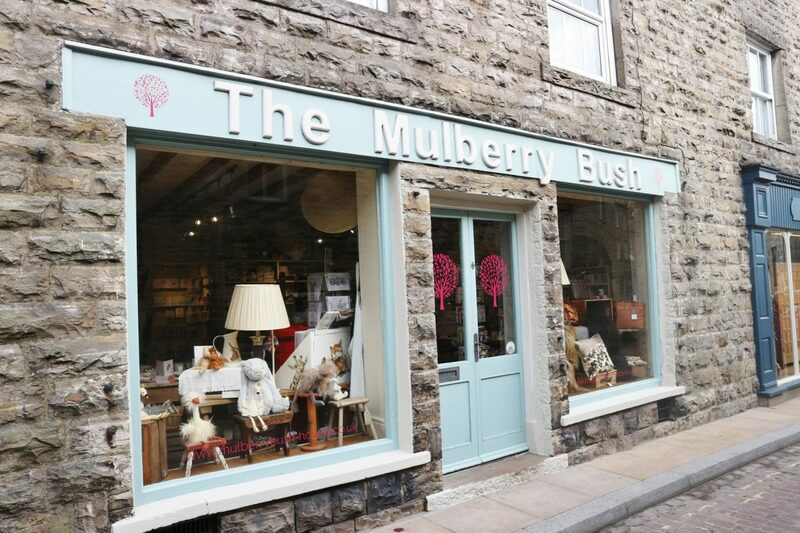 There are two really beautiful interiors stores in Hawes – The Mulberry Bush and Bear Cottage Interiors. 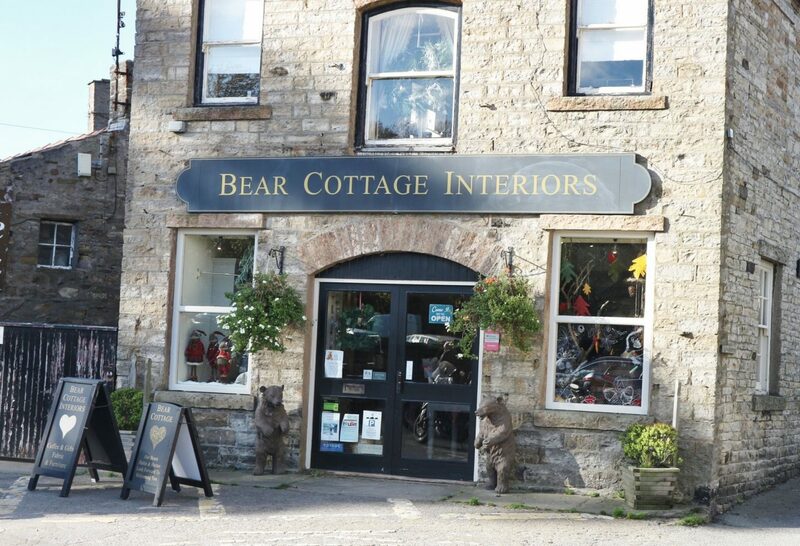 Everything has that shabby chic vibe, and Bear Cottage Interiors is especially good at this time of year, when it literally becomes Christmas decoration-central. 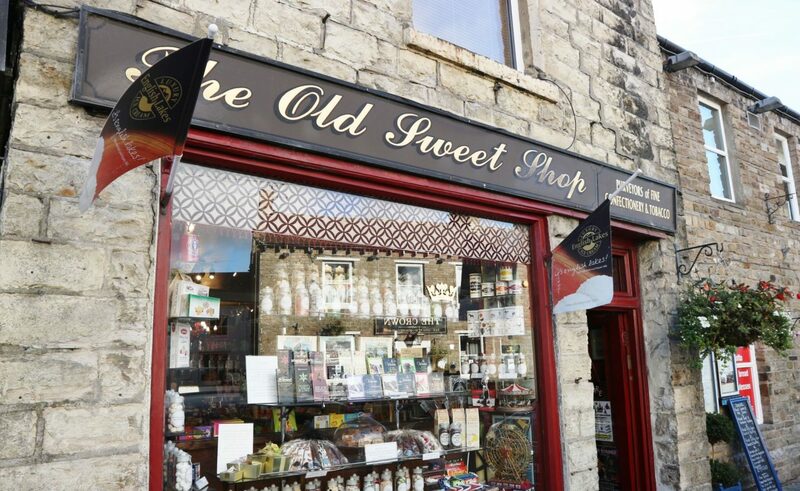 There is also a lovely old-fashioned sweet shop in Hawes, where I always like to get a pick ‘n’ mix. 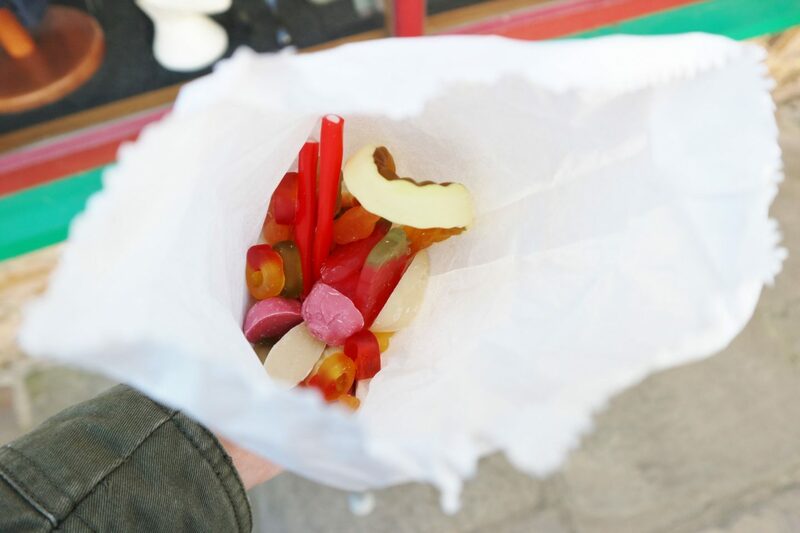 Remember when sweets were 1p and 2p? Well, you get them all here. 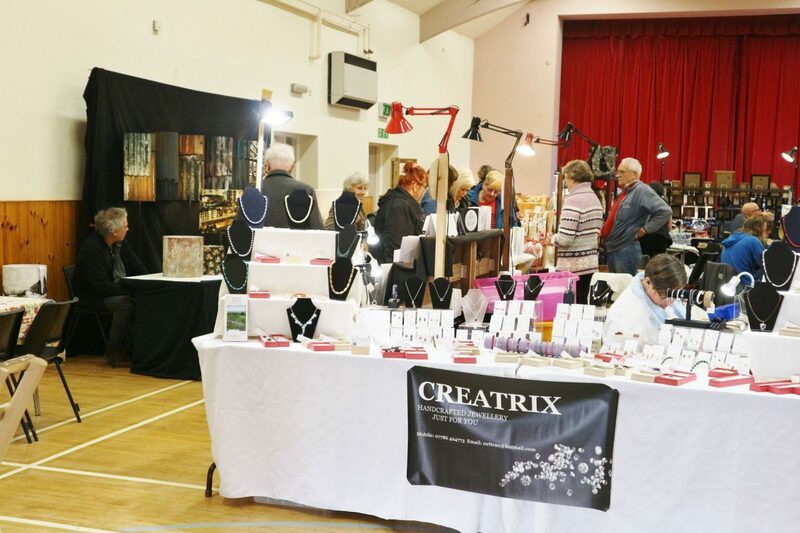 Whenever I’ve been to Hawes (it must be around 20+ times now, since I was a toddler), there has always been either a craft or a second-hand/vintage fair on in the town community hall. It’s a great chance to find some unique treasures, and to meet some local crafters. 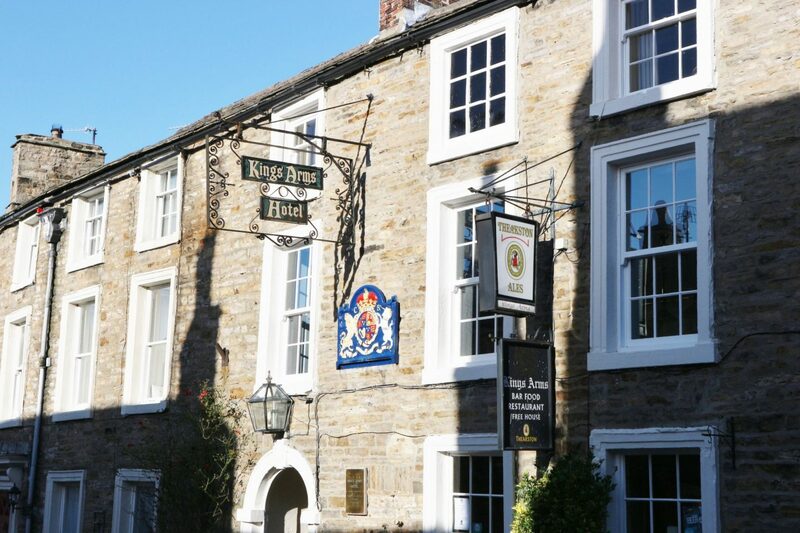 Askrigg will be very recognisable to anyone who watched the retro TV series All Creatures Great & Small, as they used it as their filming location. There aren’t any good shops in Askrigg, but it is a prime dining spot. The Crown pub is the place to go if you fancy a good, home-made steak pie and chips. It’s all rustic pub food that’s made on the premises, is so tasty and very filling. 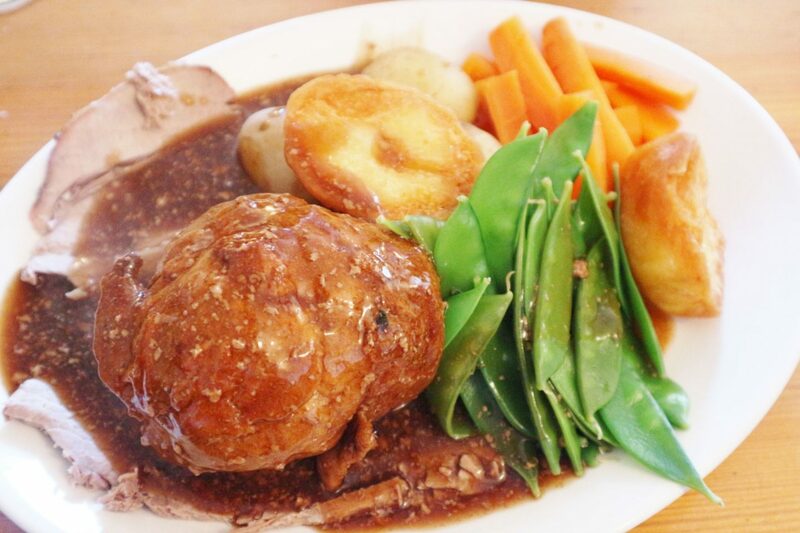 If you go on a Sunday you can get an epic roast lunch too. The King’s Arms is another, more upmarket (but still very relaxed) pub and hotel that serves more ambitious food very well. 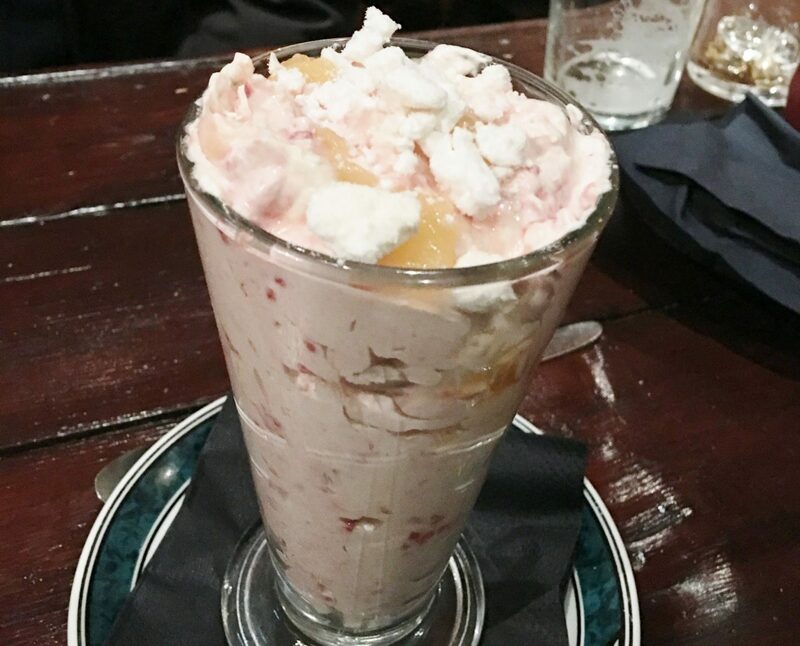 If you are getting sick of chips and pies, head here for some seafood risotto or delicious desserts such as Eton Mess. 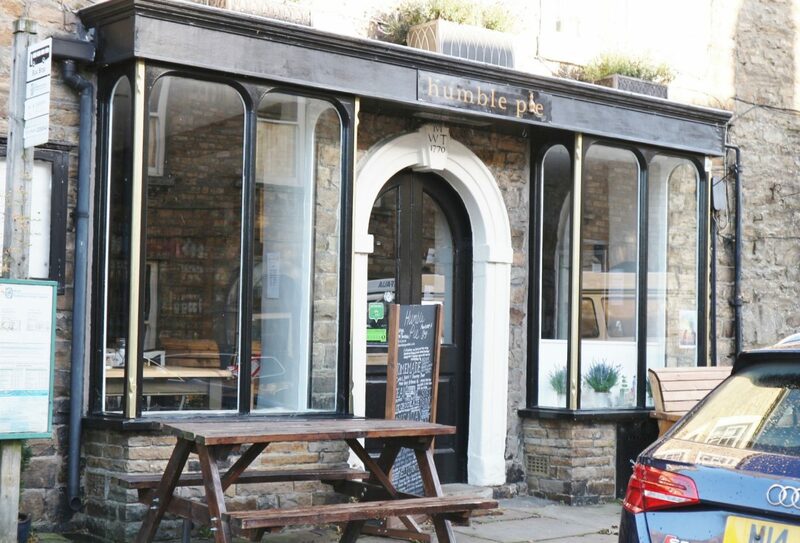 Finally, Askrigg has an amazing light lunch or cake and coffee spot called Humble Pie. It’s run by a mother and daughter, and their baking is amazing. Their raspberry scones are like nothing i’ve ever tasted, and they make great savoury things such as quiche, with local Yorkshire ingredients. Like Hawes, but a tad larger, Leyburn is a market town. 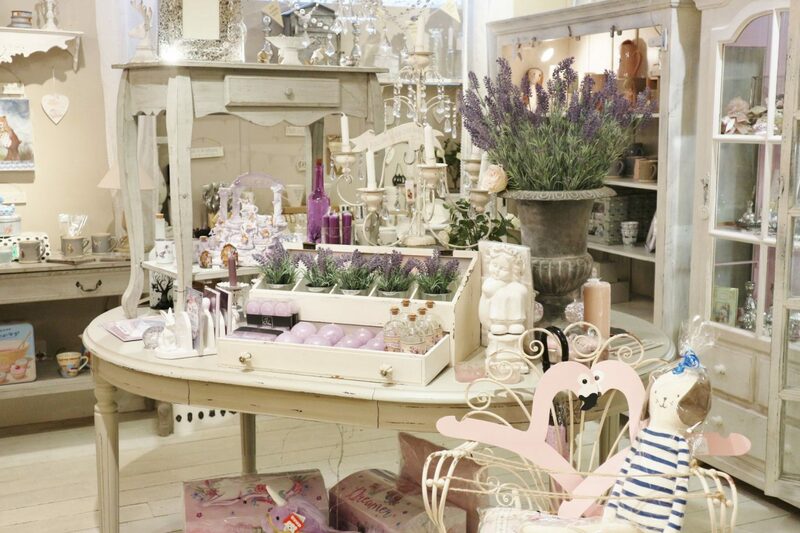 It has some beautiful gift and interiors stores, as well as a selection of nice tearooms for light lunches. 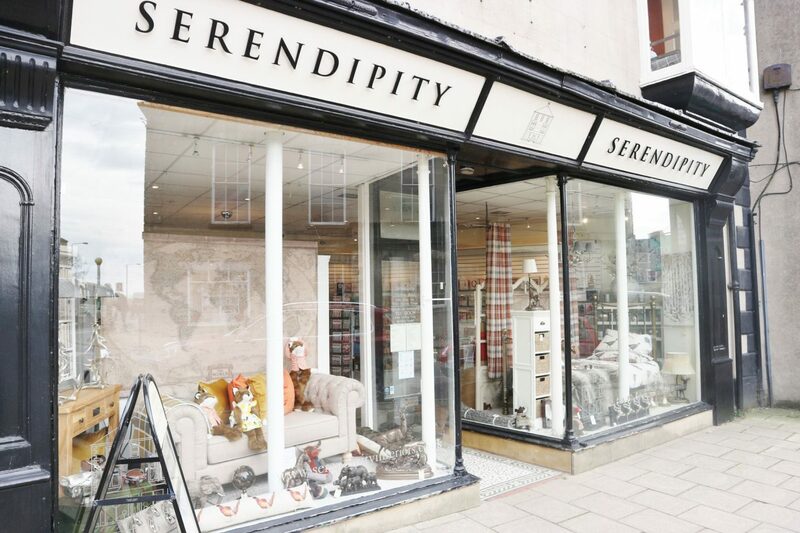 A shop that has been a favourite of mine for years, is Serendipity. 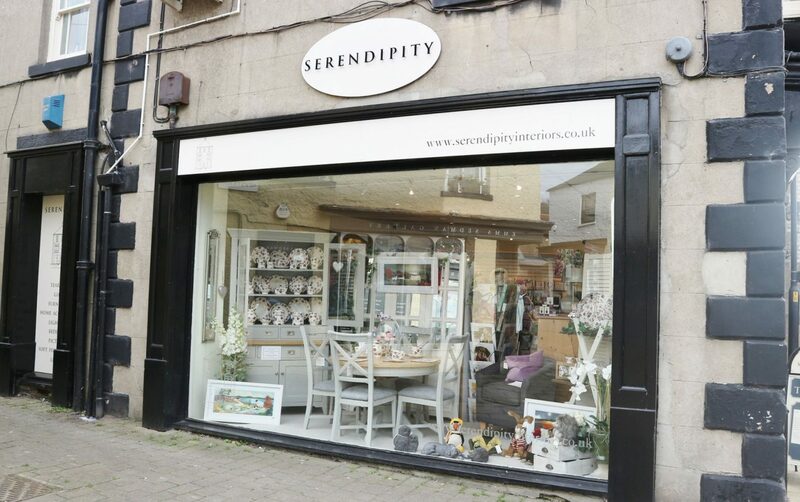 It covers two floors and is full of candles, shabby chic interiors, gift, a whole Emma Bridgewater concession, and some beautiful furniture. I always find really stylish pieces for my home in here. 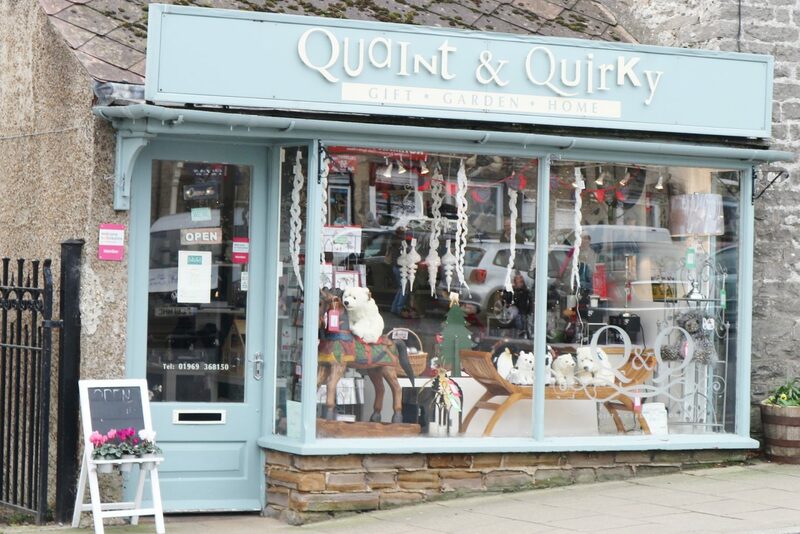 Another shop in Leyburn that’s worth visiting, is quaint and quirky. 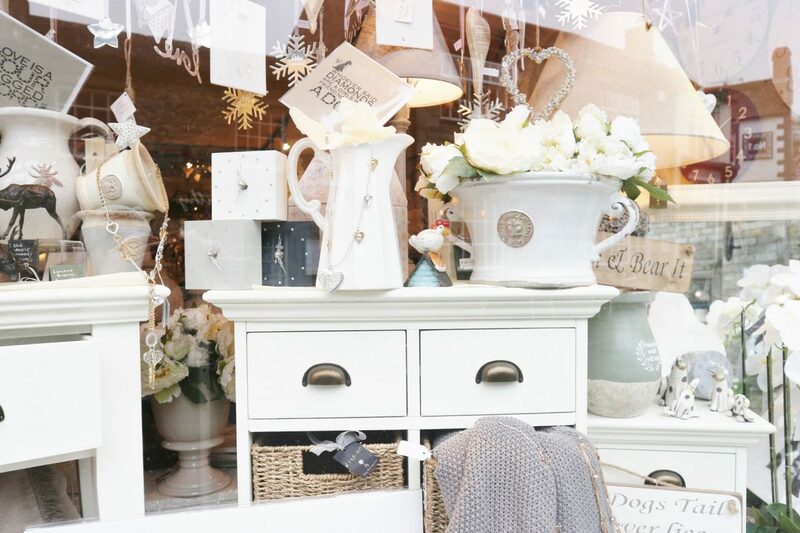 This is a very small shop, but it has such cute gifts and really goes all out at this time of year for Christmas. You’ll find some really beautiful and unique decorations here. 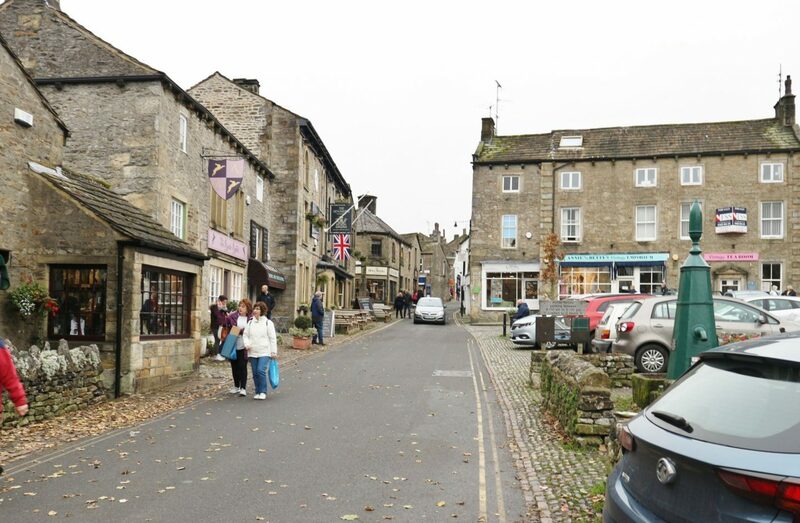 I’ve saved the best until last – Grassington is my favourite place of all. It’s so incredibly quaint and beautiful and has a handful of amazing independent shops and boutiques in it. My favourite store is The Rustic Rabbit and I can’t visit here without coming out with a bagful of cute gifts for myself and friends. 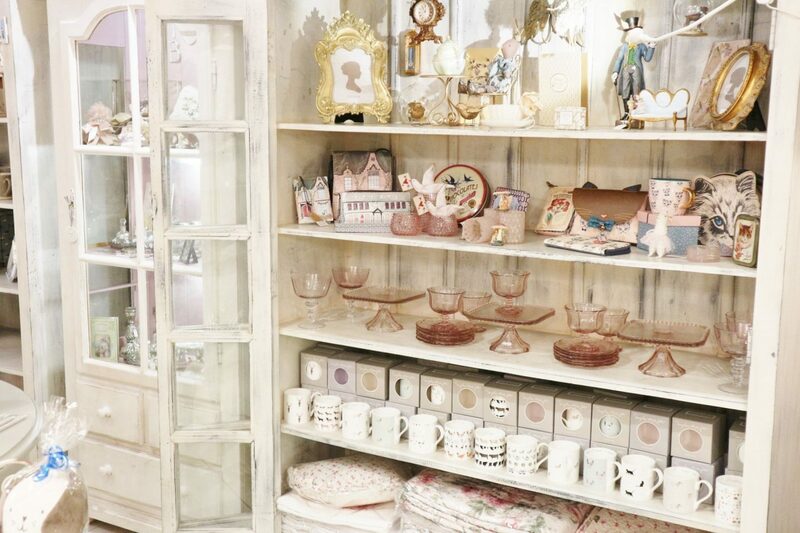 They stock a huge range of Meri Meri stationery and partyware, as well as anyting that’s on-trend – unicorn gifts, Harry Potter gifts, cats, shabby chic interiors, rose gold homeware. The owners of this shop are seriously on it. 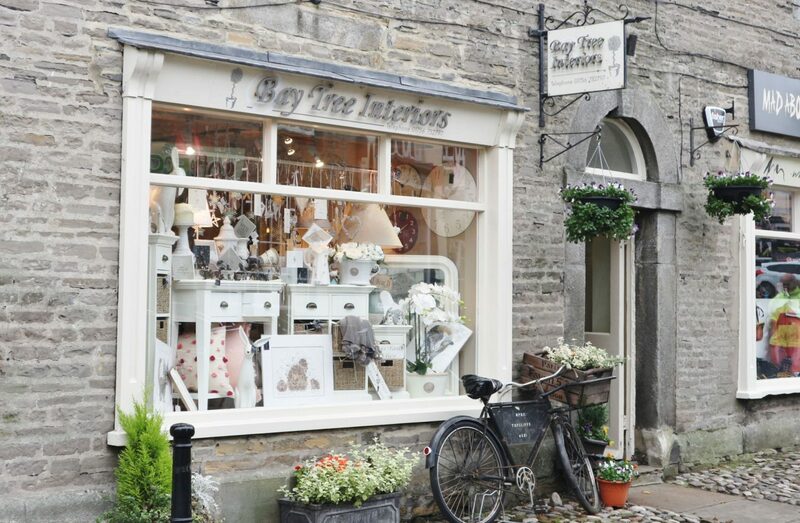 Another great store in Grassington is Bay Tree Interiors. 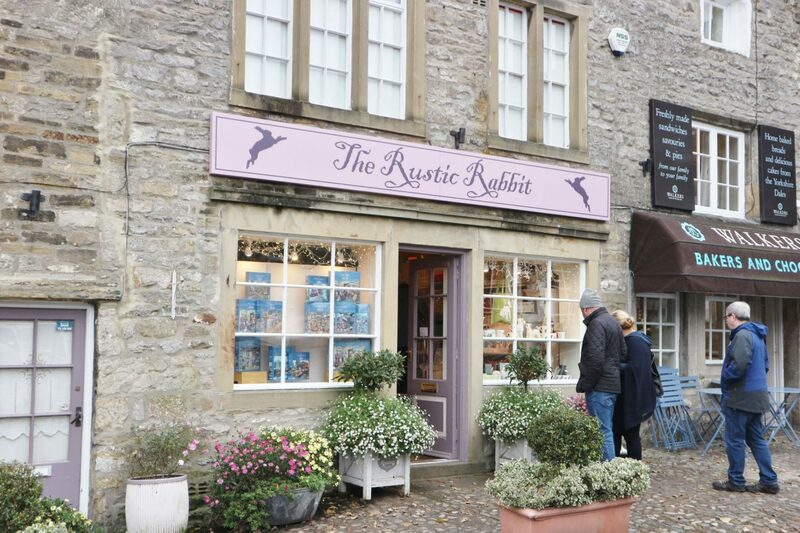 The stuff in here is more expensive than The Rustic Rabbit, but it does that country shabby chic style so well. They also have a lovely range of Christmas decorations at this time of year too. 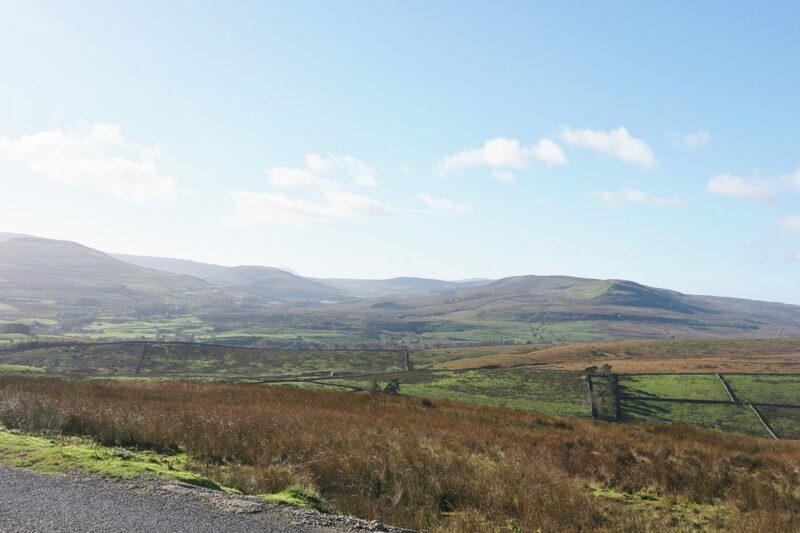 Have you visited the North Yorkshire Dales before? Where do you recommend visiting?